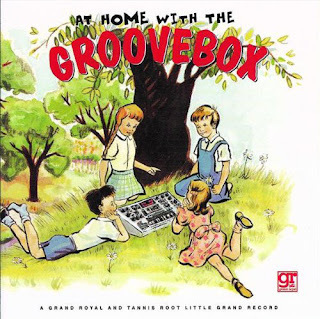 At Home with the Groovebox was released by Grand Royal back in 2000. All artists recorded songs with the Roland MC-505 Groovebox. According to Wikipedia, the Roland MC-505 is "... a combination of a MIDI controller, a music sequencer and a drum machine." Since this was released on the Beastie Boys label, it's filled with artists either on Grand Royal or friendly with the Beastie Boys. As you can imagine, the results vary wildly, but all are pretty interesting. One of the better contributions is from Pavement. "Robyn Turns 26" is a dream for those of us that have ever wanted to hear Stephen Malkmus rap and may be a direct descendant of Groove Denied, his dance inflected solo album from earlier this year. Money Mark, Beck, and Air are all basically what you'd expect, and they've all heavily dabbled in such music in the past. 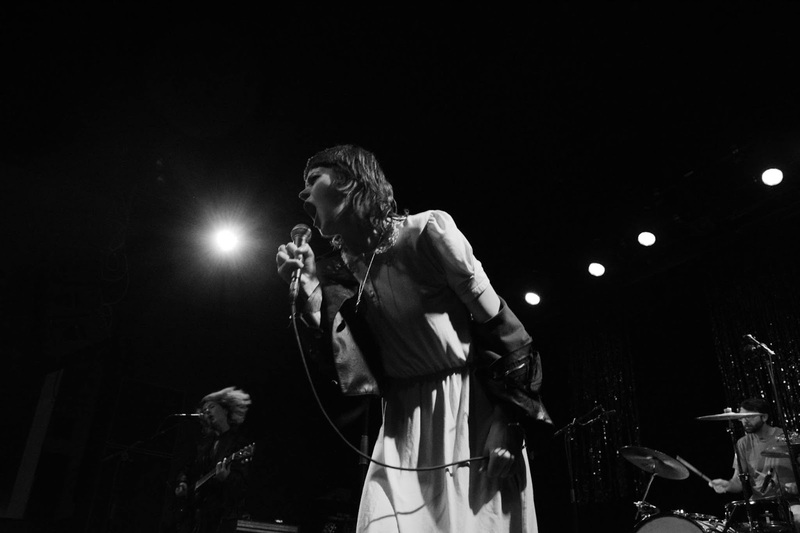 Sonic Youth's "Campfire" is experimental noise even by their standards. Bis's "Oh My" is a strong highlight, and somehow keeps their energy even with being limited to one instrument. Sean Ono Lennon gives us "Winged Elephants," which manages to be 60's, 80's, and psychedelic all at the same time. "Today I Started Celebrating Again" is an electronic folk song from Bonnie "Prince" Billy. And Cibo Matto's contribution, "We Love Our Lawyers," is perfection. 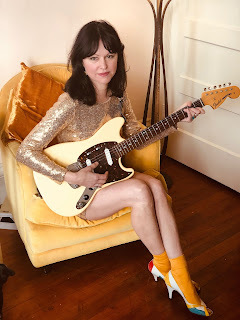 San Francisco's Sarah Bethe Nelson is back with a new single and it continues her own unique version of interesting indie rock. "Paralyzed Waltz" is charmingly lo-fi and minimalist, but it has a full sound, and is as groovy as can be. It sounds like it could be a long lost demo to something out of the 60's. The minimalist feel is definitely intentional. 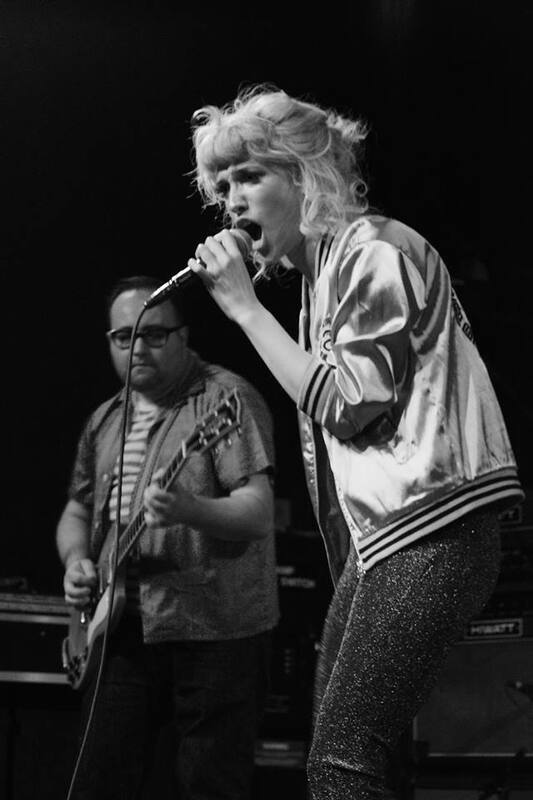 Instead of working with a full band on her upcoming album, Weird Glow was recorded with just her long time collaborator Rusty Miller in the studio. Nelson says about the song (and this is one of my favorite artist quotes in a long time...): "Paralyzed Waltz is loosely about how people perceive you so differently than you perceive yourself and how both of those perceptions are probably wrong. And part of it is just about having a crush on a guy with a broken front tooth." You can listen to "Paralyzed Waltz" below. 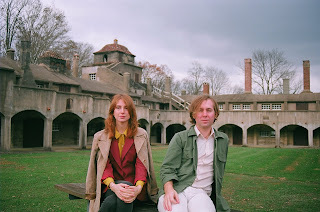 Weird Glow will be out June 28 on Burger Records via streaming services and on CD, cassette, and limited edition vinyl. For more on Sarah Bethe Nelson, check out her website. Green River Festival will be held July 12-14 at the Greenfield Community College campus in Greenfield, MA. For more info, check out their website. Back in February Lucy Dacus released her cover of "La Vie En Rose" for Valentine's Day, and announced a holidays singles project for this year. The next one up was going to be for "Taurus season," her birthday, her mom's birthday, and Mother's Day. 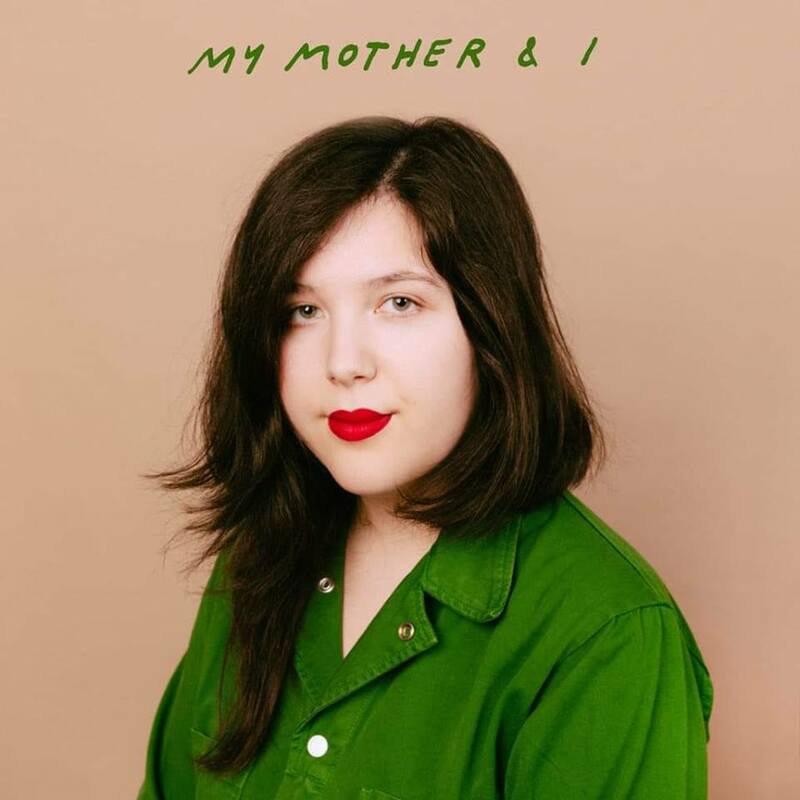 Apparently it's Taurus season, because "My Mother & I" is now out! "My Mother & I" is simply gorgeous. It's quite simply absurd how gorgeous this song is. It's an indie folk/rock track, but with intense orchestration and just a hint of noise rumbling underneath. It's a powerful and heartfelt song, which are descriptions I don't normally mean as a compliment. You can watch the lyric video for "My Mother & I" below. You can purchase a copy via Matador Records here. For more on Lucy Dacus, check out her website. "For months on end, I had weekly intense dreams about someone I had dated 6-7 years prior, someone who played a very formative role in my life. It began to feel like a funny loop I had created for myself – this magnetism to somebody who had hurt me very badly but who had nothing to do with my current life. I feared I might have to deal with these thoughts for years to come. I felt powerless. If that person had called me up and asked to see me during that period, I don’t think I would have been able to say no." I sincerely hope my description isn't keeping anyone from listening, since "I With Mine" is a great song. It's definitely worth your time listening to once or a dozen times. You can listen to "I With Mine" below. Lesson, the debut album from Merival, will be out June 21. For more on Merival, check out her Facebook and Twitter. 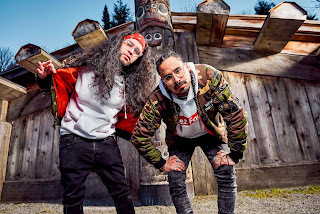 Snotty Nose Rez Kids featuring Boslen - "Creator Made an Animal"
“'Creator Made An Animal' carries an aggressive and assertive energy that imitates the way society portrays Indigenous people and People of Colour across Turtle Island. Our ancestors were stereotyped as savages, and we are often regarded as the pissed-off generation who haven’t gotten over what colonization has done to our lands and to our people. Through stylish delivery, we proclaim ourselves as the Father 7th Generation and let the world know that we aren’t changing for anyone. The future is ours! As human beings, we are powerful. It’s integral that we respect the knowledge that was passed down from our ancestors. Many of us also carry their pain, but every single one of us carry their power. Embrace that power, stay true to that power and to yourself!" You can watch the video for "Creator Made an Animal" below. TRAPLINE, the new album from Snotty Nose Rez Kids, will be out May 10. For more on Snotty Nose Rez Kids, check out their website. You can watch the video for "Distant Episode" below. 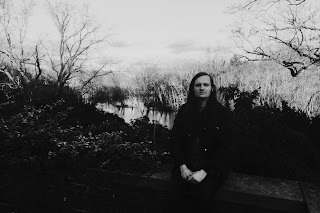 Living Theatre, the new album from Olden Yolk, will be out May 17 on Trouble in Mind. You can pre-order a copy here. For more on Olden Yolk, check them out on Facebook and Twitter. Current tour dates are below the video. A super, super busy week. 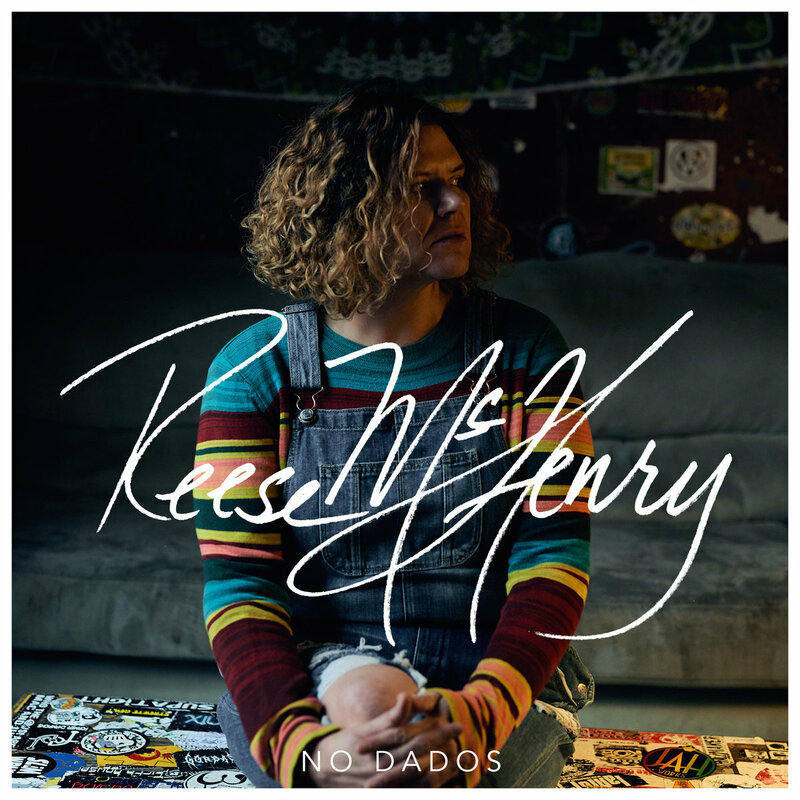 Quick Description: Latest from a favorite folky. 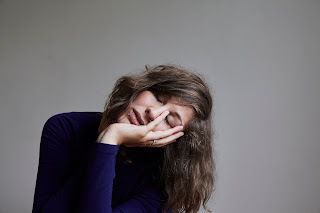 Why You Should Listen: Anna Tivel does something a lot more special than you'd initially think. 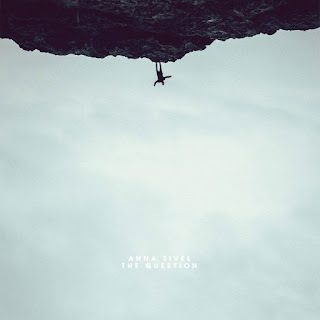 Overall Thoughts: I’m trying to figure out what it is that makes Anna Tivel so compelling. She’s a favorite here, and I assume it’s likely due to the delicate nature of her instrumentation, or maybe it’s because her vocals work so well with the structures of her songs, or maybe it’s just songs like “Minneapolis” (her best songs are named after places), or maybe it’s just because she is so good at what she does from start to finish. This is an obvious must-listen for anyone into the more folkish side of things, and I hope this ends up being an overdue breakthrough for her. Quick Description: Brutally honest electronic confessionals. 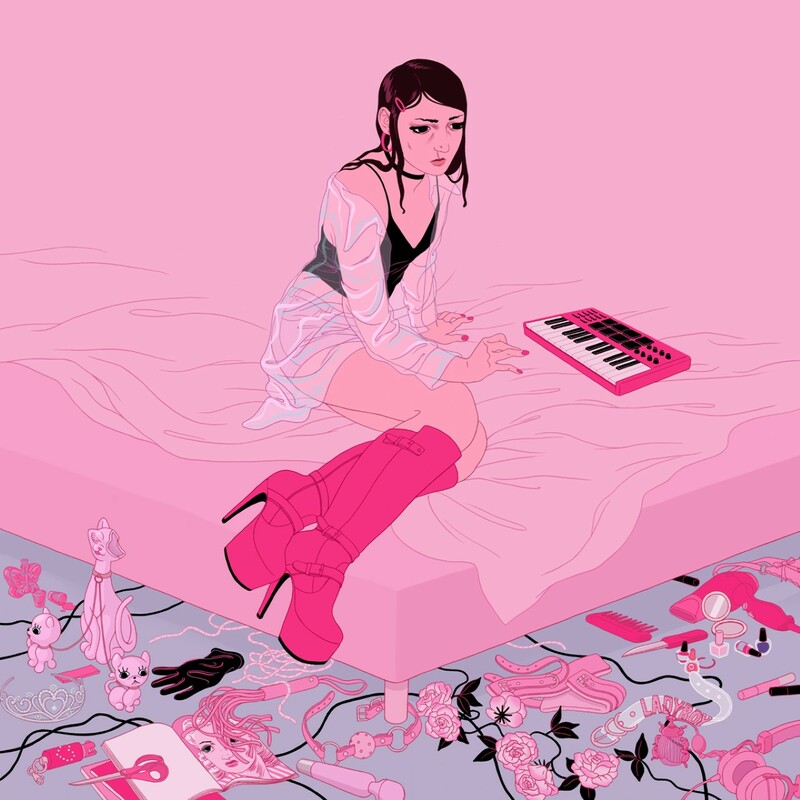 Why You Should Listen: In an era where you have artists like Poppy and the PC Music folks, it's weird to hear something like this. Overall Thoughts: This came out in February and I missed it initially, but I tripped up on it this weekend and, well, wow. 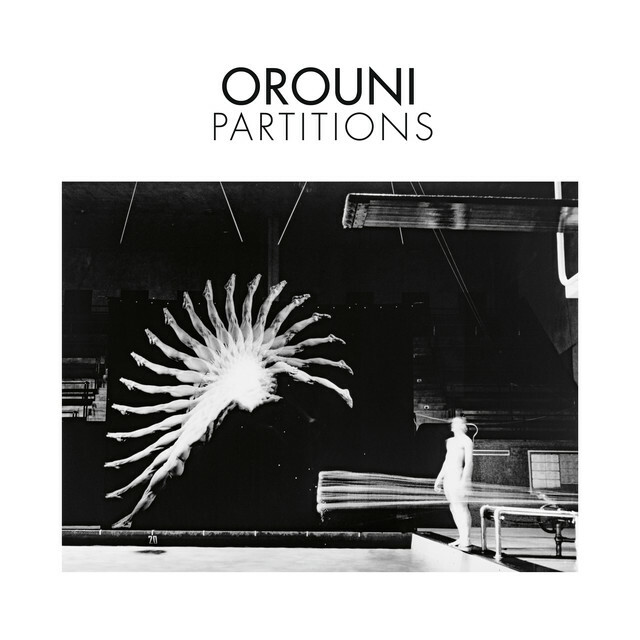 I don't quite know for sure whether this is an act or if it's some sort of straightforward album with out-there electronic backing, but this album really blew me away. There are great songs like "Birthday," absolutely crazy instrumentals throughout, songs that just pierce the heart like "Single Right Now..." it's what I would imagine Peaches to be like if she was starting out today. Don't miss this one, Tami T could end up being one of those artists that unexpectedly hits it huge. Quick Description: New album from a sneaky great rapper. Why You Should Listen: If you're not on the YOG bandwagon, what are you waiting for? 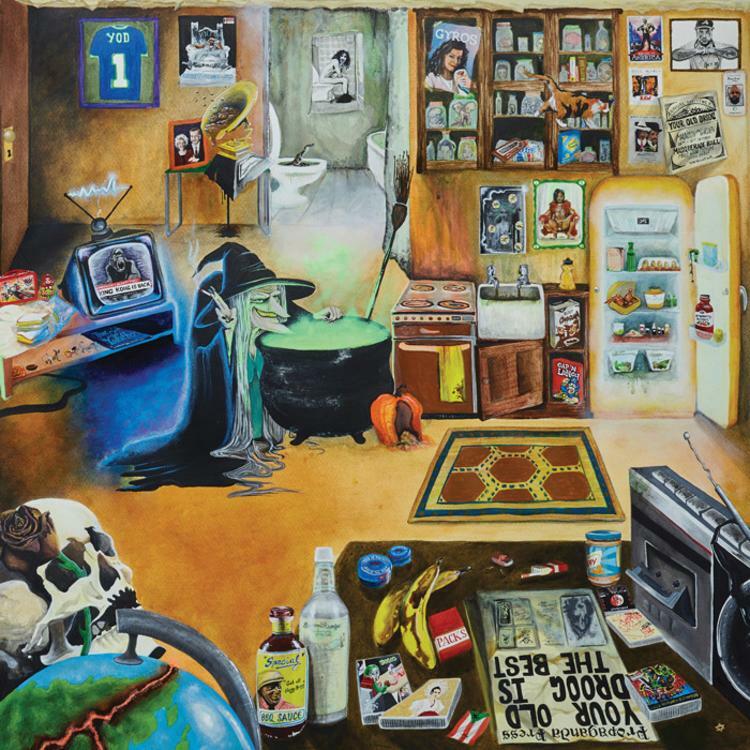 Overall Thoughts: There are people much better versed in rap music than I ever will be, but I’ll say that every Your Old Droog album (and, really, release period) has been super compelling and has engaged me in a way few rap albums do. 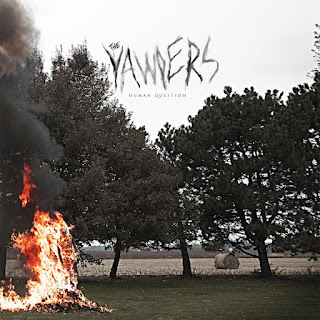 This one is no different, from a great a capella break in the middle to an overall tone that feels more like a barstool conversation than the sort of pointed stuff that feels most popular right now. Great album, great delivery, great everything here. Recommendation: Best rap album of late (not counting the next on our list). Quick Description: Major-label debut from a favorite here. Why You Should Listen: Everyone is talking about Lizzo, and for good reason. Overall Thoughts: Man, how good is Lizzo? If you’ve been reading us for a while, you already know the answer, but this major label debut is going to really do wonders for everyone else who isn’t on board. 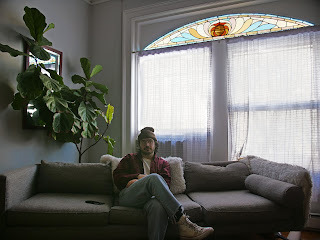 What’s great about this album is that it is extremely fun – sure, you knew that was coming with “Juice,” but the whole thing feels like an affair that sounds as joyful as it is to listen to it. The Missy Elliott track is great, the whole thing just moves so smoothly… this is just great. Recommendation: Don’t wait on this. Quick Description: Strange, multi-genre listen. Why You Should Listen: It will keep you on your toes. Overall Thoughts: This is a really odd album in many regards, and that’s not a bad thing. 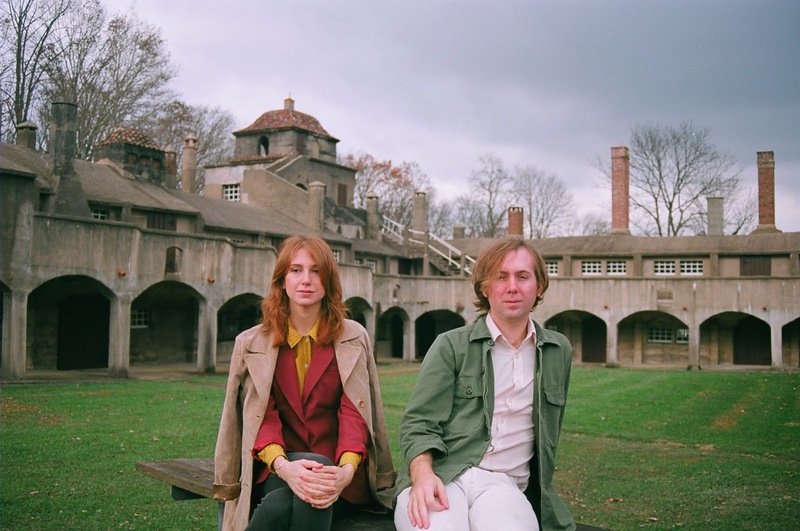 There’s old-style pop music, British twee… all sorts of ingredients put together into an album that, while not sounding like it all matches, still feels like a complete package. I enjoyed this quite a bit, and I could see myself REALLY into it in my early 20s. 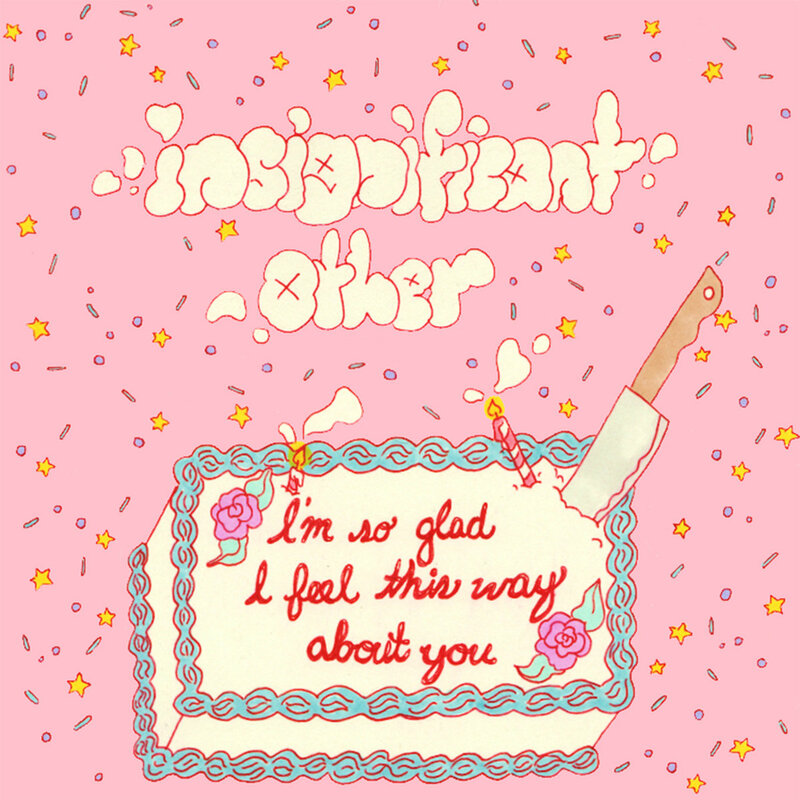 Why You Should Listen: You're in the mood for some upbeat fun music. Overall Thoughts: QWAM is a pleasant surprise this week. I've had awareness of them through a couple prerelease songs, but the full album is just perfect pop-punk song after perfect pop-punk song. I think I liked each song more than the next, which is a good problem to have. 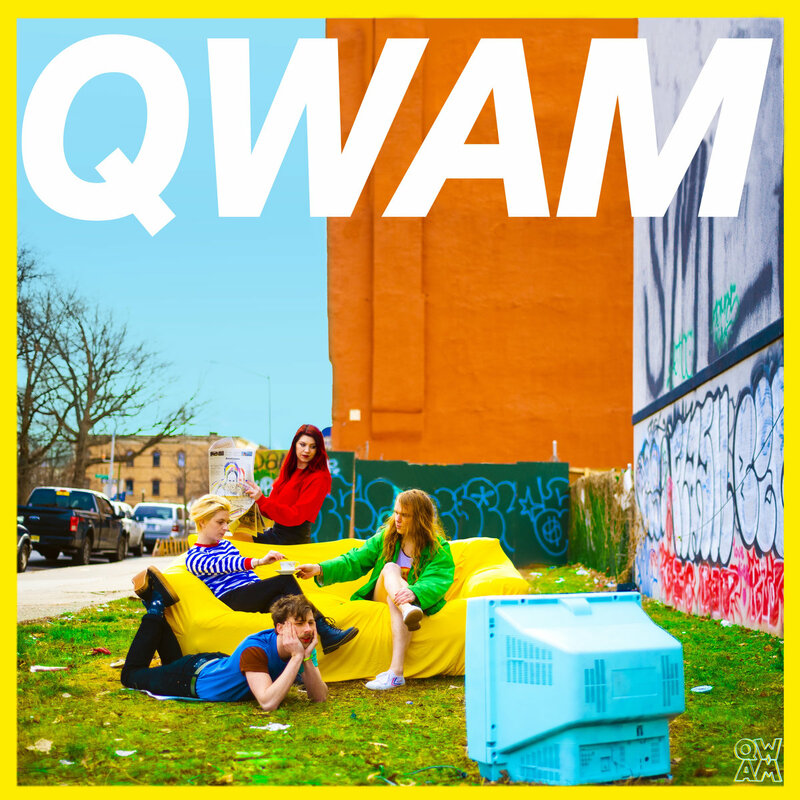 "Mall" is great, "Prom Queen" is great, "Buy a Toy" is great... this is just a sub-30 minute blast of music that will stick with you. Even if this album doesn't make some best-of lists, many of the songs certainly should. Recommendation: This is one of the best of the week. Why You Should Listen: I would have been so, so down with this back at the height of the anti-folk movement. 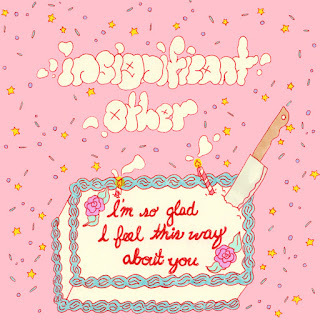 Overall Thoughts: Some gritty, lo-fi-esque indie rock that is really speaking to me. It’s easy to try and make comparisons to acts like Dream Wife or Illuminati Hotties, but this does have its own feel to it. It’s slightly abrasive, definitely raw, and incredibly compelling almost from the first verse of the first song. I can see this one sticking in my rotation for a long time to come. Recommendation: Don't miss out on this one. Why You Should Listen: It's rawk! Recommendation: ...you should be able to appreciate it for what it is. 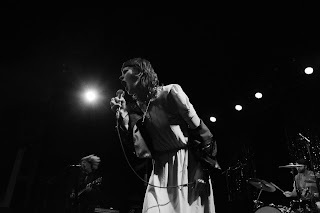 For those of us that attended the Priests show at The Sinclair last Thursday, we were treated to two fantastic sets from two great bands. Both sets were surprising: One was far more energetic than expected, and the other was much more laid back. more energetic songs. Live they have a completely different vibe, coming across like Sleater-Kinney being joined by Kathleen Hanna from the "Bull in the Heather" video trying to secretly form Le Tigre. They apologized a ton for laughing too much in songs, and seemed to feel like they were putting on a bad show, but for the audience it added to the fun. Songs like "Middleton Mall" and "Don't Go to School" are much more fun and joyful when performed live. 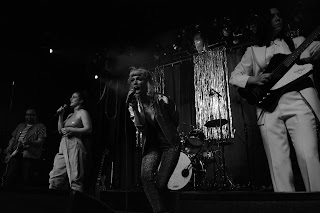 I expected Priests to be much more energetic live, based on their previous album and some live performances I had seen on YouTube. But much like their just released album The Seduction of Kansas, Thursday night's show was more laid back than I had expected. I should say it started out much more laid back. Their entire set slowly built and built in intensity. The opening song, "Texas Instruments," was even more laid back than the album version. That started off a slow, almost imperceptible build through "Jj" and "Jesus's Son" which closed out the show with an intensity not matched by anything that came earlier. Singer Katie Alice Greer is by far the focus of the entire show, and with good reason. 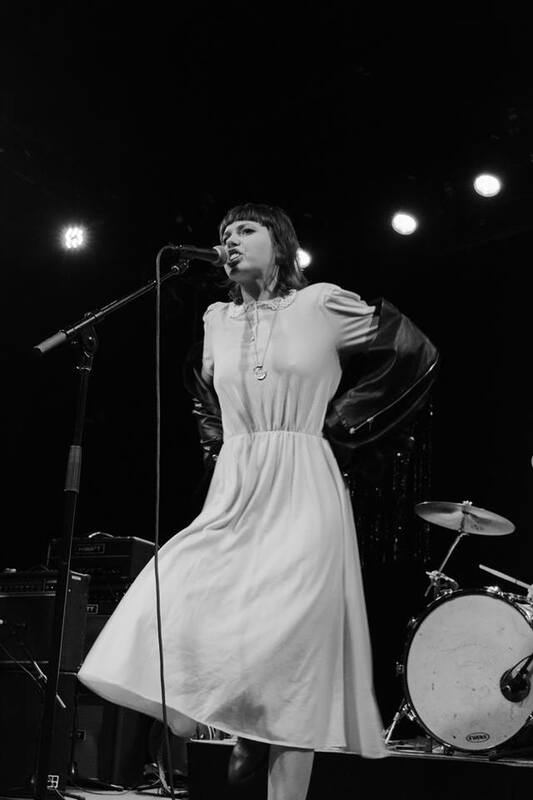 She commands the entire stage, and her voice is a rarity of the indie rock/punk leaning world in that she could quite easily sing at a more mainstream level if she chose to. Drummer Daniele Daniele came from behind her drum kit for a handful of songs, somehow matching Greer with singing and stage presence. The secret weapon of a Priests live show is guitarist G.L. Jaguar. His playing is beyond intense, even on the most laid back of their songs. Possibly the only complaint I could have with the show was how short it was. Priests played for forty five minutes, which seems very short for a headliner with three albums behind them. Perhaps there was some unknown issue, or maybe just how Priests roll. Either way, they packed in enough in their shorter set time to leave everyone happy but still hoping for more, which is how a good show should be done. If you're looking for more pictures from the show, check out our Facebook page for the album. This is something we should be doing more of in the future. Fresh off the heels off last month's new song "stunned" comes another new song from Sebadoh, this one also written and sung by Jason Lowenstein. "raging river" is quite different from "stunned" (one of the reasons I've always loved Sebadoh is how different their songs tend to be from each other). 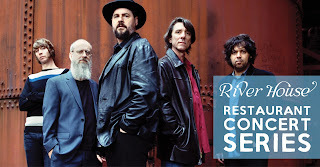 While "stunned" was a noisy, abrasive punk-ish song, "raging river" is a lot more laid back. In fact, it's more of a groovy country-ish song. Of course, it's a Jason Lowenstein penned groovy country-ish song, so it's still pretty loud and abrasive. 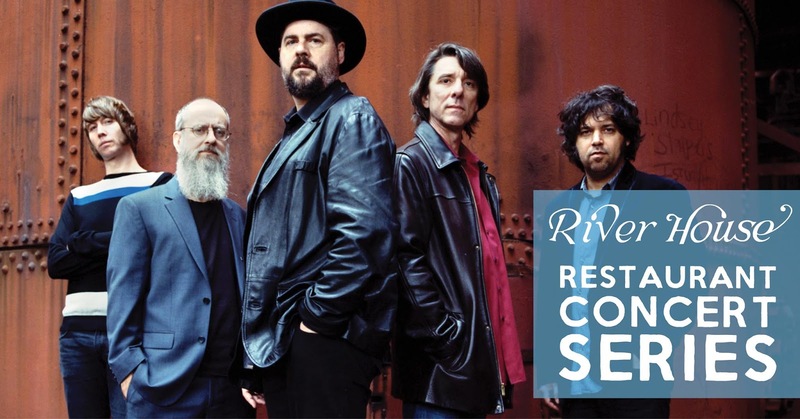 You can watch the video for "raging river" below. Act Surprised, the upcoming album from Sebadoh, will be out May 24 on Dangerbird. You can pre-order a copy here. For more on Sebadoh, be sure to check out their website, including their current tour dates. When there's a new song from Boston's Doug Tuttle, we know what to expect at this point. "Did You Need Someone" fits in perfectly with Tuttle's previous work. The new song is 70's era influenced singer/songwriter fare. 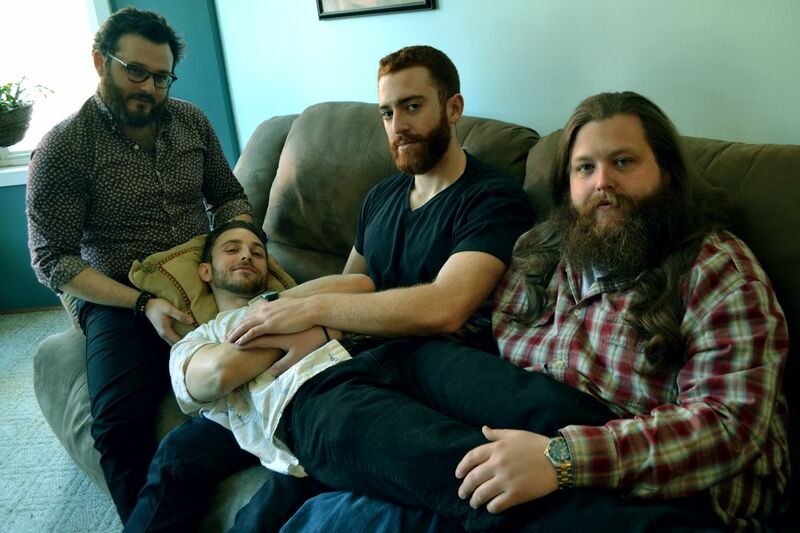 It's laid back not-quite-folk with a mellow groove. But Tuttle does this sound so adeptly it's practically perfect. This isn't him trying out a new sound or branching out, but when you do something as good as he does this, it's exactly what we want. You can listen to "Did You Need Someone" below. Dream Road, Doug Tuttle's fourth full length album, will be out May 31 on Burger Records. You can pre-order a copy here. For more on Doug Tuttle, check out his website. Walter Sickert & The Army of Broken Toys - "Bloodless"
The Slaughterhouse Society recently staged a theatrical production of Dracula in Cambridge, MA. Normally that isn't normally the kind of thing we cover, but when our favorite steamcrunkers Walter Sickert & The Army of Broken Toys supply the theme song, we have to bring it to your attention. 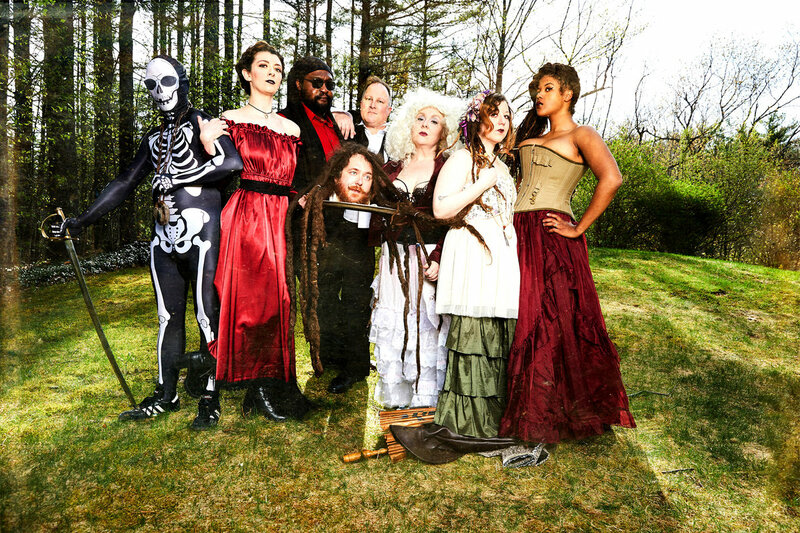 "Bloodless" is exactly the type of song you'd expect the folk/punk/metal/vaudeville/rock/burlesque troupe to come out with for a play about Dracula. It's heavily creepy and eerie, but it's somehow also an industrial party banger? Yeah, it's virtually perfect. You can listen to "Bloodless" below. For more on the band, be sure to check their Facebook and Twitter. 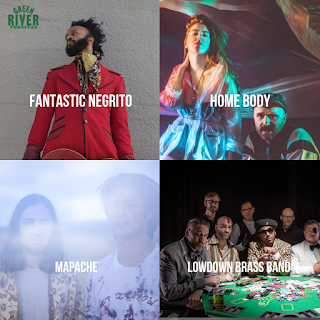 If you happen to be in the Boston area, be sure to check them out April 12 at Oberon in Cambridge, May 2 at The Sinclair in Cambridge for the TRC Fest, May 11 on the Waltham common as part of the Watch City Steampunk Festival, and June 22 with Eddie Japan at the Iron Horse Music Hall in Northampton, MA! Their live shows can't be missed! 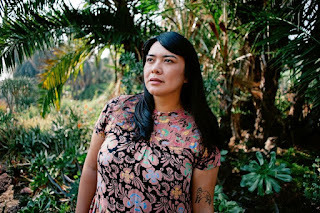 Black Belt Eagle Scout (aka Portland based artist Katherine Paul) has released a new single called "Loss & Relax." 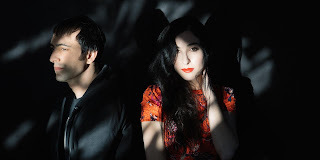 "Loss & Relax" was originally meant to be included on last year's album Mother of My Children but was not on the album as it continued to evolve. The final version is a lush and exquisite folk song, at least at first. While it may start off as folk, the song slowly builds and progresses, reaching an almost hard rock crescendo. You can watch the video for "Loss & Relax" below. The song will be released as a 7" with b-side "Half Colored Hair" on April 26. You can pre-order a copy here. For more on Black Belt Eagle Scout, check out their website. Current tour dates are below the video. Sometimes music isn't meant to be nice to listen to. 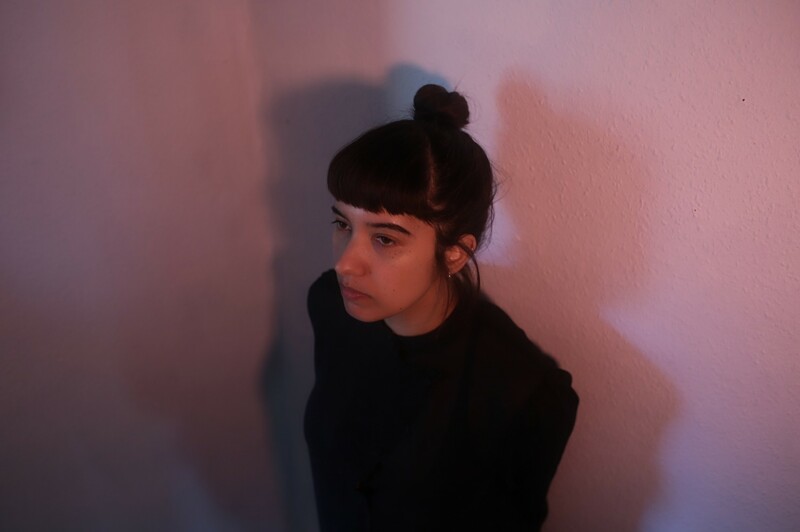 Esya, the solo project of Ayşe Hassan of Savages and Kite Base), has just released a fantastic new single that's not exactly a comfortable listen. 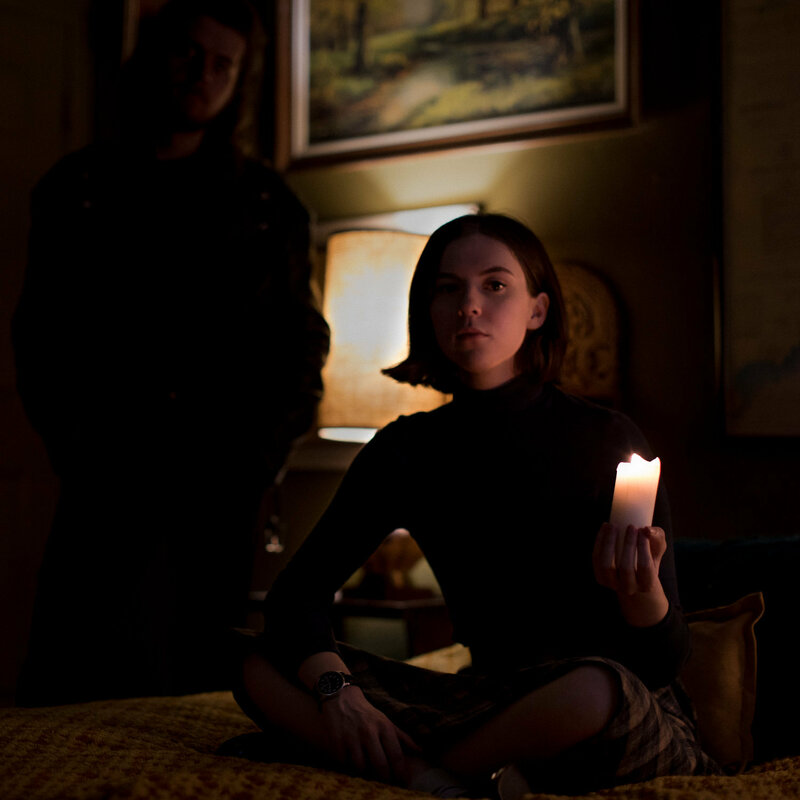 "Nothing" has a droning baseline throughout and an awkward drumbeat that you can't quite figure out. It's a pattern (maybe?) but definitely not a simple one. Hassan's voice is the one thing that can be considered traditionally nice to listen to, and stands out as a lifeline holding you into the song. And, somehow, you can almost dance to the whole thing. But, for those of us that like awkward, unsettling music, "Nothing" will be glorious. You can watch the video for "Nothing" below. Absurdity of ATGC (I), the new EP from Esya, will be out May 24. You can pre-order a copy at Bandcamp. For more on Esya, check out her website. 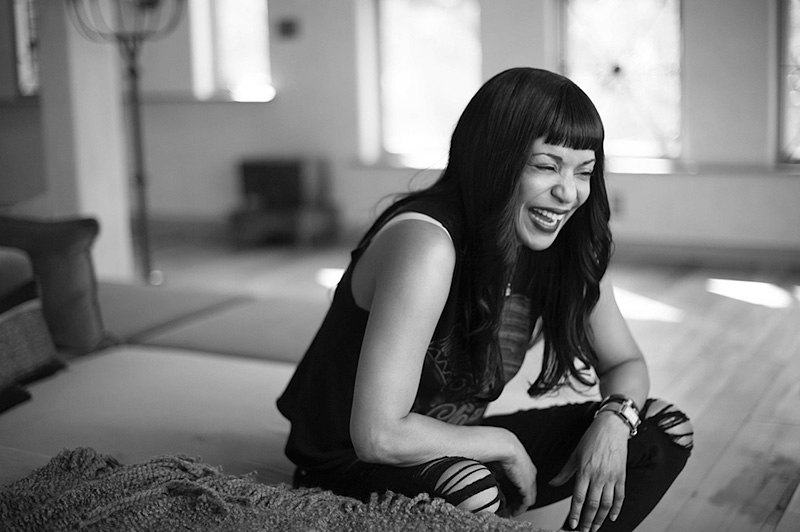 "When I was in my early days of sobriety I struggled with crippling panic attacks. Every time I had to go out and be social without booze I would have a total meltdown. I always wanted to write a song about that feeling and the music in this song seemed to fit; with the dirty bass, screaming guitar and herky-jerky drumbeat. We want the song to actually make people feel anxious." You can listen to "Panic Attack #2" below. Popcorn, but also House Fire, the new album from Yucca King, will be out April 26. You can pre-order the album via Bandcamp. For more on Yucca King, check out their website. Current Tour dates are below the song. A super busy release week this week, but not a ton of true highlights for me. 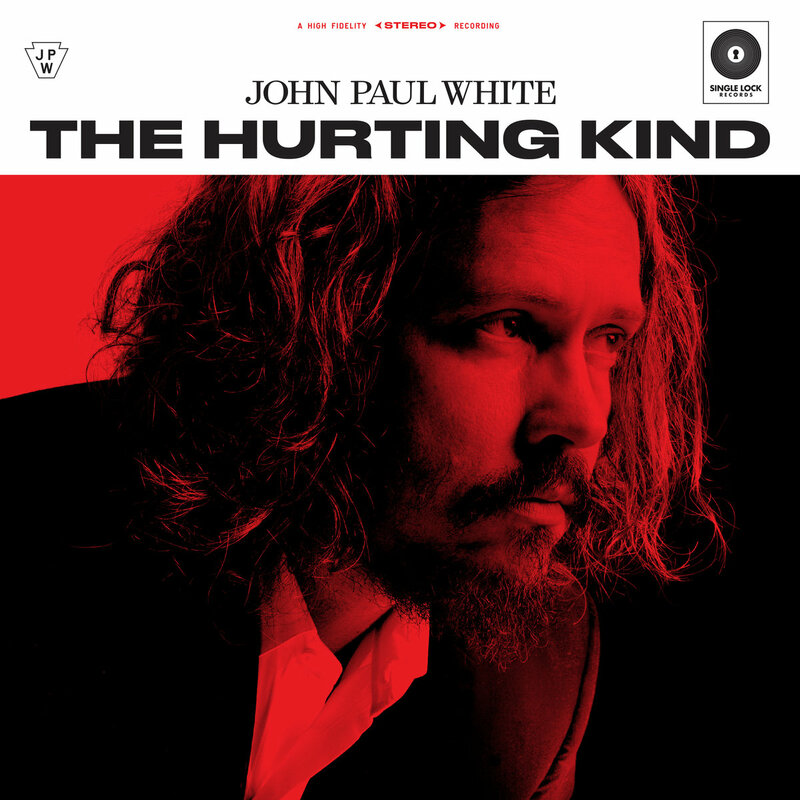 Quick Description: Latest solo effort from half of The Civil Wars. Why You Should Listen: This is his best effort yet. 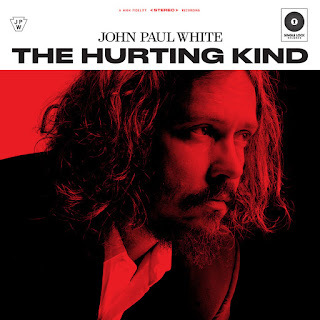 Overall Thoughts: I am sure John Paul White would like to escape the long shadow of The Civil Wars at this point, but I’m not sure how realistic that will be. With that said, this album will likely help, which is possibly the best merging of classic country and modern roots/folk. There are so many positive moments here that my fear is that this will be overlooked either due to how stacked this week is or because people expect something else from him entirely. Recommendation: Don’t miss out on this one. It’s worth the time investment. Quick Description: Genre-bending indie stuff. Why You Should Listen: This is a truly special record that you'll likely fall for. Overall Thoughts: This was a revelation in many regards. A strident, angsty affair from start to finish, and reminded me a lot of Sallie Ford in attitude even though this is more brash and noisy. 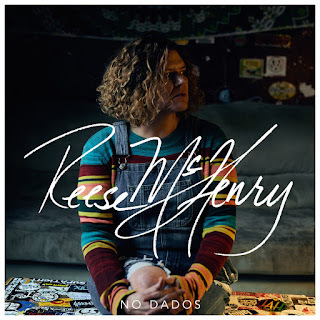 McHenry is absolutely going to win over some people with this album, which has a great alt-country feel along with some serious emotion to each song. I’ll want to spend a lot more time with this, and there’s a good chance you will, too. Recommendation: Absolutely a top release this week. Quick Description: New album by a favorite here and everywhere else. 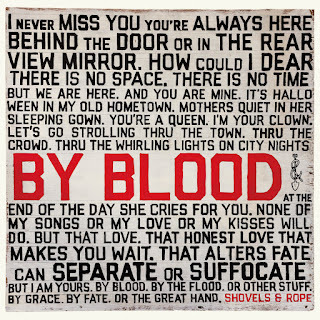 Why You Should Listen: Shovels & Rope has yet to fail us. 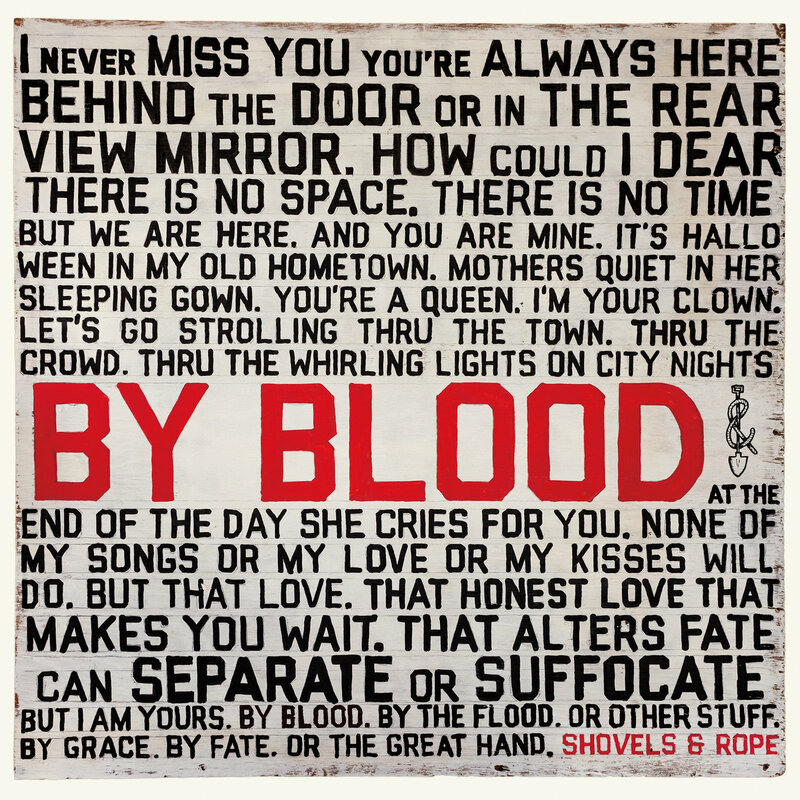 Overall Thoughts: What can I say about Shovels & Rope that we haven't already? The married duo's latest is yet another rollicking adventure through their style of roots music that hits all the right notes in all the right ways. What they lack in producing that one clear heavy hitting song these days they more than make up for in great albums that work from start to finish. Recommendation: I love these guys, and I love this album. Quick Description: A protest record for people who don't like protest records. Why You Should Listen: There's something here for everyone to like. 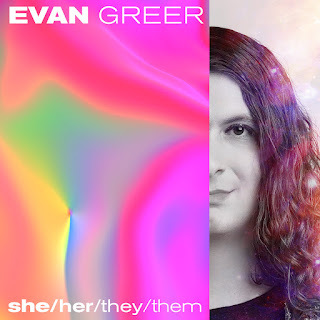 Overall Thoughts: Boston-area musician and activist Evan Greer presents what ended up being a surprise favorite of mine this week. 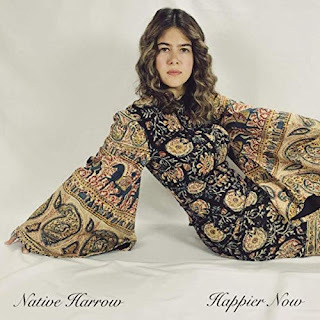 A nice slice of indie pop that pleases the ear while not laying anything else on too thick, it's a great listen from a musician who should rightfully get a good deal of attention from this record. If the opening track, "First Boy," doesn't grab you, what are you even doing here? Overall Thoughts: Looking solely at the cover, you'd probably expect an early 1970s folk pastiche of some sort. Instead, what we get is a really confident singer-songwriter effort with some truly interesting instrumentation and some quality songwriting. A lot of this album in particular stuck with me long after I finished my first listen, and, of everything out this week, it's the one I'm looking forward to going back to the most.